If you want a secure retirement, you need to think about what you want to do while you are retired. The truth is, there are so many things for you to consider when you are planning for retirement. One of these is literally the activities that you want to do when you retire. When you are retired, you have a lot of time on your hands. You have stopped working full-time and there is no need to wake up early to work. You do not have to spend 5 out of 7 days a week in the workplace. You can spend the rest of your days relaxing and doing whatever it is that you want. Of course, it is also important for you to be financially prepared for the lifestyle that you prefer. While retired individuals are subject to a lot of senior discounts, you will still be required to pay for consumed products or availed services. That means you need to make sure that your retirement fund is enough for you to support the type of lifestyle that you prefer. Most people will look at the average retirement fund that they need to save – which, at the moment is $1 million. However, reports suggest that this might not even be enough. Those within the ages 55 and 64 have a median retirement savings of $120,000. If the $1 million retirement fund is not enough, how do you think retirees will survive with a lower fund? If you have to set a retirement fund target, you might be better off trying to be as accurate as you can. This will ensure that your funds will not run out. The best way to do that is to think about the specific activities that you will do once you retire. The truth is, there are so many retirement activities that will keep you busy. These usually have varying budget requirements. It is important for you to consider your personal preferences but at the same time, you should also be honest if you can really afford it. This is the reason why you need to decide on the type of lifestyle that you want in retirement before you do anything else. This knowledge will help you calculate how much you really need to save with a little more accuracy. To help you get started, here are 3 popular activities for retirees. There are two types of retirees who prefer this retirement activity. One is the group that simply enjoys working. They cannot live without doing something productive on a daily basis. This is why they have opted to keep on working, even if it is only part-time. The other side involves those who failed to meet their retirement target. While this does not necessarily mean they do not have a secure retirement, it also means their finances are not exactly in abundance. Before you feel sorry about this group, there are a couple of differences in working in retirement. First of all, retirees have the option to get a job with lesser stress – or at least choose a job that they enjoy doing. This is probably why a lot of retirees are joining the gig economy. According to statistics, 31% of those who work exclusively in the gig economy are Baby Boomers. Of those who are between the ages of 56 and above, 34% of them are already retired. This group usually earns an additional $5,000 to $10,000 a year to supplement their retirement money. If you intend to work during retirement, you really do not need to save a lot of money. Of course, the more you save, the less the pressure to earn a certain amount. But the steady flow of income will definitely help you maintain a secure retirement life. The other activity that you can do in retirement is to volunteer. This is actually ideal for those who have enough money in their retirement fund – and probably even have extra to spare and share with the less fortunate. Some retirees feel like their retirement is the best time for them to give back to the community. If they do not have the finances to help, they just give their time and effort to a cause that is close to their heart. What is great about volunteering is it will give your retirement life a purpose and meaning. Even if you are no longer earning like you did before, you will still feel like you are being productive. You will still feel important because you know that you are doing something for those who are unable to help themselves. If you opt for this activity, you will probably need to meet your retirement fund target – and even more. That way, you can also use your resources to help other people who are in dire need of it. 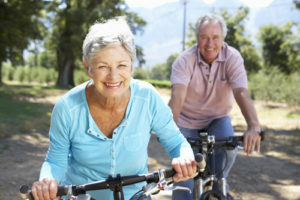 We all know that the older you get, the more cautious you should be about your health. This is why some retirees focus on their health once they reach retirement. There is nothing wrong with this – but like volunteering, you might want to ensure that you have sufficient retirement funds to support this lifestyle. Of course, there are options that will allow you to exercise for free. That way, you do not have to compromise your secure retirement. Exercising is not limited to the physical. It can also involve your mental abilities. If you want to pursue this type of lifestyle, you may want to focus on your talents and hobbies. You might want to improve your skills. Maintaining the sharpness of your mind is always a good thing. It will keep other people from taking advantage of you in your old age. Bottom line is, this retirement activity is all about taking care of yourself. It is not always the most inexpensive of the retirement activities but it is one of the most rewarding. Just make sure that you are cautious enough to monitor your funds so it will not run out on you. Some people have hobbies that will require them to spend money. You have to be in full control of your finances to ensure that your funds will not retire before you. According to statistics, 4 out of 10 retirees expect that they will retire broke. These are the people who have less than $10,000 saved for their retirement. While it is lower compared to last year, it still a huge percentage. If you feel like you might end up in this group, you might want to work harder to ensure a secure retirement. To do that, you can follow these tips to help build a more secure financial future. A secure retirement is not that hard to accomplish. You just have to make sure that you have a clear understanding of your finances and the type of life you want to have when you retire. Most of the time, it is financial illiteracy that compromises a secure retirement. An in-depth knowledge of your personal preferences and your current financial capabilities can help you come up with a plan that will give you a dream retirement life. Make sure these two details are clear so you will not make a mistake as you save for your retirement. Once you have your preferred retirement life in mind and your financial position, you should set a reasonable and realistic target. Setting a goal that is too high might frustrate you and end up discouraging you from building your dream retirement. Once you have that amount, calculate the monthly amount you need to contribute. After you have set your monthly target, you need to make a commitment to meet that saving amount. It will take a lot of sacrifices and compromises. After all, saving for retirement will take decades and a lot of things can happen over that time. Some things might become more of a priority in the coming years. While there is nothing you can do to keep this from happening, you have to be flexible enough with your finances. You can set aside your retirement savings for more pressing issues in your life but make sure it is a last resort. If you have other options, use those first before you compromise your retirement savings. Finally, if you want a secure retirement, you need to be prepared with a backup plan. As mentioned, a lot of things can happen between your life right now and your target retirement age. This is why you need to have a backup plan to protect your retirement savings. An emergency fund is one of the best backup plans that you can have. Make sure you have a sufficient amount in this fund so you do not have to compromise your retirement contributions.